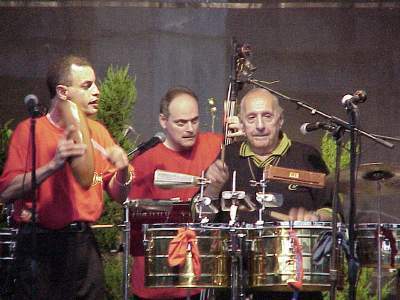 Manny Oquendo played at the Sounds on the Hudson concert series in Battery Park City in downtown New York City on August 15, 2000. These photographs and MPG movie clips were taken by J. Fernando Lamadrid on August 15, 2000. All photographs and MPG movie clips are copyright 2001 www.justsalsa.com. All rights reserved. Your feedback is welcome. Enjoy! Copyright © justsalsa.com 2000 NYC. All Rights Reserved.